Early this year, as the 2014 Legislature was coming into session, it didn’t seem that much new law on water was likely to be enacted or much new spending likely to be approved. In lots of different ways, lawmakers set new policy and appropriated new money for groundwater and surface water projects. Invasive Asian carp lost the “Asian” part of their name. Legislators were persuaded that the name could cast a pejorative light on Asian people, as well as the carp. So, as far as the statutes are concerned, it’s just invasive carp from now on. Lawmakers approved state borrowing to provide $4 million to significantly upgrade the University of Minnesota’s Aquatic Invasive Species Research Center. In the tax bill, legislators appropriated $4.5 million in the state’s fiscal year that begins July 1 to help counties fight invasive aquatic species, both plants and animals. The Legislature signaled its intent to provide $10 million per year in subsequent years. Counties will share the money in proportion to the number of boat launches and boat-trailer parking places at launches they have. The legislation defines aquatic invasive species as “nonnative aquatic organisms that invade water beyond their natural and historic range. On the policy front, lawmakers voted to re-establish a bipartisan 12-member Legislative Water Commission to advise the rest of the Legislature on water issues. 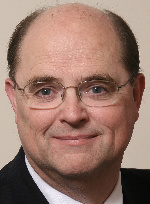 The commission, similar to a legislative panel that was abolished in the 1990s, was recommended by the 2011 Minnesota Water Sustainability Framework report. The 2014 Legislature also made Minnesota the first state to begin phasing out the sale of consumer products – mainly antibacterial hand cleaners and other personal care products like tooth pastes and deodorants – that contain the chemical triclosan. Gov. Mark Dayton last year directed state agencies not to buy triclosan-containing products, except in certain circumstances. Human wastes that contain triclosan can pass through sewage treatment plants and form cancer-causing dioxins in rivers and lakes. As part of a legislative compromise, the ban on the sale of consumer products containing triclosan will be delayed until Jan. 1, 2017. The Legislature approved several appropriations from the Clean Water Fund aimed at reversing all or part of the big decline in White Bear Lake. Late this summer or fall, the Metropolitan Council is scheduled to release a big study of the lake and the significant drop in its water level. To begin work on that study’s recommendations, the Legislature approved a $400,000 appropriation to the Council to begin planning and designing “long-term solutions to address regional water supply and sustainability issues” around the lake. The appropriation includes money earmarked for study of ways to collect and treat stormwater “to enhance surface waters and groundwater recharge,” as well as money to promote conservation and water reuse by industry. Much of the $400,000 is to be spent on planning that ultimately may suggest using Mississippi River water as an additional source to replace some of the groundwater that cities around White Bear Lake now pump or may pump in the future. Appropriated $1 million to the University of Minnesota’s Forever Green program to develop and promote cover crops that can be planted along with corn and soybeans and collect water and nutrients from the land when the corn and soybeans are not growing. Required the Department of Natural Resources to appoint an “advisory team” to help plan groundwater management areas where the DNR has special authority to regulate groundwater pumping. Under the new law a majority of the members on the advisory team must be people and organizations that currently have permits for high-capacity pumping. Gave the DNR authority it had sought to pursue civil administrative remedies, rather than criminal prosecution, against well owners who fail to seek permits for high-capacity pumping. In 2013, the Freshwater Society recommended the DNR receive authority to impose those civil penalties. Authorized $2 million in state borrowing to replace wetlands drained for public road improvements. Authorized $6 million in state borrowing to buy Reinvest in Minnesota permanent easements on wetlands and grasslands in agricultural areas. Appropriated $900,000 to the Board of Water and Soil Resources for grants to local governments to protect groundwater, lakes and streams. Publications cited by Don Rosenberry during his June 6, 2013, lecture. He encouraged his audience to consult the reports on a variety of sources. 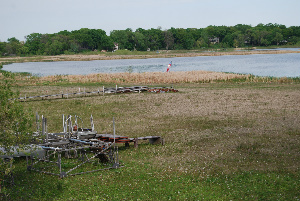 Jones, P.M., Trost, J.J., Rosenberry, D.O., Jackson, P.R., Bode, J.A., and O’Grady, R.M., 2013, Groundwater and surface-water interactions near White Bear Lake, Minnesota, through 2011: U.S. Geological Survey Scientific Investigations Report 2013–5044, 73 p.
Winter, T.C., Harvey, J.W., Franke, O.L., and Alley, W.W., 1998, Ground water and surface water: a single resource: U.S. Geological Survey Circular 1139, 79 p.
Alley, W.M., Reilly, T.E., and Franke, O.L., 1999, Sustainability of ground-water resources: U.S. Geological Survey Circular 1186, 79 p.
Rosenberry, D.O., 2000, Unsaturated-zone wedge beneath a large, natural lake: Water Resources Research, v. 36, no. 12, p. 3401-3409. Simonds, F.W., Swarzenski, P.W., Rosenberry, D.O., Reich, C.D., and Paulson, A.J., 2008, Estimates of nutrient loading by ground-water discharge into the Lynch Cove Area of Hood Canal, Washington: U.S. Geological Survey Scientific Investigations Report 2008-5078, 54 p.
Healy, R.W., Winter, T.C., LaBaugh, J.W., and Franke, O.L., 2007, Water budgets: Foundations for effective water-resources and environmental management: U.S. Geological Survey Circular 1308, 98 p.
Attend a free, public forum on groundwater Thursday, April 4, at Centennial College in White Bear Lake. The event is the first in a series of informational sessions – titled “Our Water, Our Future: Resources in the Northeast Metro” – sponsored by the Metropolitan Council. The forum will run from 6:30 to 8:30 p.m. In the Lincoln Mall of the Century College’s East Campus. Learn more. Get directions to the site, which is on the east side of Century Avenue.